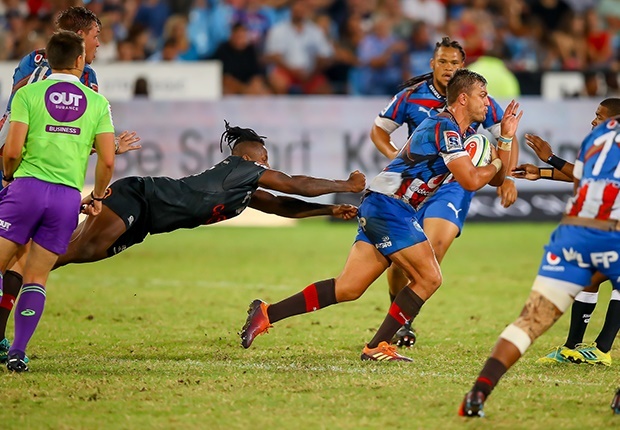 Pretoria - There won’t be a need for motivation going into Saturday's Super Rugby derby against the Sharks, Bulls captain Handre Pollard believes. Getting up for the game will be the easiest part of it all. Pollard said his team had put their lashing at the hands of the Chiefs firmly behind them and are now concentrating on getting themselves back in a winning position in Durban this weekend. "We had a chat about this on Monday, we said we will always be up for South African derbies because it is like trials. It is a World Cup year so what more could you want," Pollard said. "But you also have to get yourself up for those overseas teams, if you aren't up for it, that is what is going to happen, what happened to us last week. We will be up for it definitely, we will try and execute better and do all the technical stuff, but if the boys are up for it, it should be a good one." Pollard said that while there was a lot more energy for a local derby, it is more about getting the balance right. "I don’t think we put too much energy in, we put the same amount of energy into every game. Precisely the same. The stats are the same during the week, but on a Saturday it is a mental thing, it is a personal thing. You need to make that switch in your head, you can't be 100 percent right one week and then only 90 percent right the next week and expect to win. We were 10 percent off our game and then you take 50. That's rugby." Pollard said there was no extra pressure on his side, but that which they expect of themselves, and they know they won't simply 'bounce back' because they lost, but will need to put a lot of work into the game to make sure they get the right result. "There is pressure on us every week. You can't look at results and find confidence in results, and put more pressure now that you've lost. You have to trust your process and we have a great process. We get confidence out of our prep in the week, there is no extra pressure after a loss or win. It is what is is and you have to pitch on a Saturday. They (coaching staff) do all the work they can in the week and it is up to the players to pitch on Saturday. "We have done it in the past and we have to go do it again. But it is not just going to happen because now we are fired up, we lost last week and we are going to bounce back. It's not just going to happen like that. We have to be technically good against a side like the Sharks, who have a good kicking game. Against a side like the Sharks we know they are going to come for us. We will do everything to bounce back and get back on the winning track, but like I said it is process driven, phase by phase and play by play. That is the way we think and that is where we get our confidence from." Pollard also said they had put the Chiefs game behind them, and even though they knew they were off their best, needed to make sure they are switched on in Durban this weekend. "You ca'’t say this is the reason, it is a few things, and if you are just five percent off against a quality side like the Chiefs, then that is what is going to happen. "They were desperate and we lacked intensity in every department. We looked at it, but we put it behind us, you can't dwell on games like this for too long. There are three very tough physical games coming our way, we have to look forward and try and get three out of four because there are still tough times coming – including the tour. "We can't slip up too much here at home, or in South Africa, before we go on tour. But it is nothing specific, the energy is much better this week, we've had a good training week but we need to transfer it onto the pitch. You don't get log points for training." The Bulls comprehensively beat the Sharks a fortnight ago when the two teams met in Pretoria.